Our 15 departments offer a diverse range of major and minor programs, summarized below. Upper-division art and design students regularly contribute to nation-wide and multi-campus projects, most recently designing posters for Michelle Obama’s Let’s Move! campaign to end childhood obesity in America and collaborating with the Rochester Institute of Technology to promote tourism in San Luis Obispo and Rochester, N.Y.
Cal Poly’s Communication Studies Department helps students to understand the process of human communication and grasp its historical context and contemporary relevance in a global society. Students learn the theory and practice of communication in a variety of contexts, developing their critical reasoning, speaking and writing skills, and appreciation of how culture influences their lives. Professor Richard Besel and undergraduate student, Brittani Hidahl, embarked on a class project exploring the significance of Katy Perry’s song, “I Kissed A Girl,” that resulted in an opportunity to publish a book chapter and present at the National Communication Association Convention. 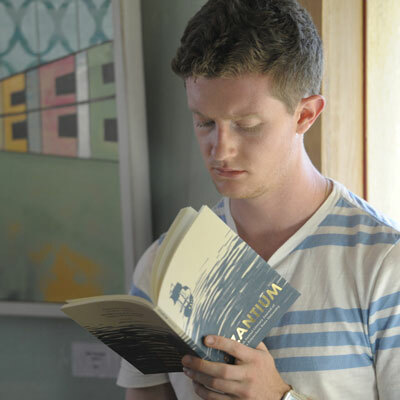 The Cal Poly English Department boasts one of the top programs in the nation for return on investment, as well as one of the best undergraduate writing programs in the West. English majors study literature, language and rhetoric in an effort to understand the human condition and explore literature’s contribution to culture and society. Students in the Technical and Professional Communications program are gaining real-world experience in producing technical documents. These students are writing and editing for Cybersecurity Case Library, an undergraduate research journal that is associated with the Cybersecurity Center at Cal Poly. Ethnicity. Race. Culture. Gender. Cal Poly’s Ethnic Studies Department works at the intersection of these fundamental social forces. By exploring these issues, students are able to understand the factors that shape social and occupational identities, preparing them to work, collaborate and interact in an increasingly heterogeneous and complex world. Professor Grace Yeh and her students are capturing the diverse — yet under-documented — ethnic communities of the region. The multiple projects, titled “Re/Collecting,” digitize family materials and interviews into searchable databases. In one project, Yeh draws from interviews and archives to explore the first Filipino migrants to the Central Coast. 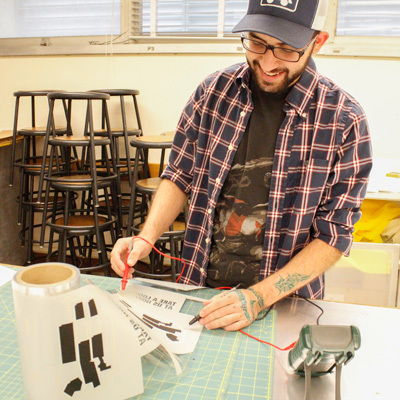 Cal Poly boasts one the nation’s premier graphic communication departments, where students experience the history and tradition of printing, learn fundamental design principles, and use modern tools and technology. Students have access to more than 33,000 square feet of lab space and equipment largely donated by industry partners, which gives them unparalleled hands-on experience. A team of graphic communication and art and design students won first place at the university’s “Hackathon” event, sponsored by Evernote. The event was designed to give students the opportunity to build mobile apps and websites in a competitive setting. 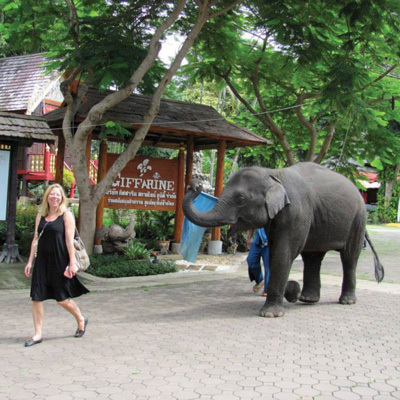 After graduation, two students on the winning team were hired by Evernote. 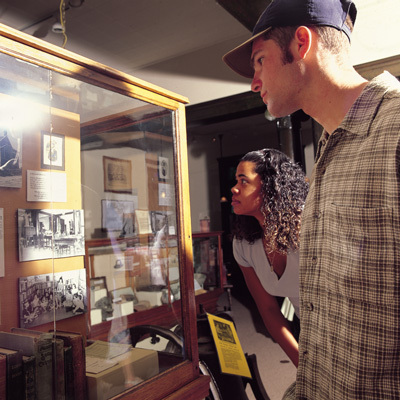 In Cal Poly’s History Department, students explore history as a living tradition as well as a vibrant field of study. History deepens students’ understanding of different peoples and cultures, examining ideas of race, gender, class and cultural diversity. 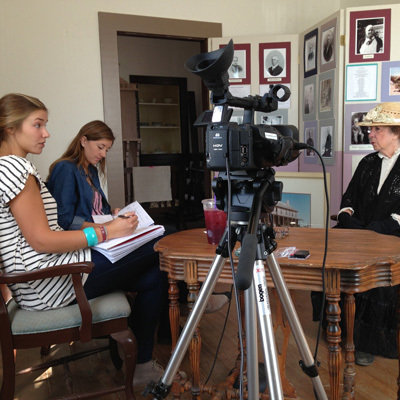 Students use research and critical tools to explore and articulate multiple perspectives on the present and future. The History Department’s student research journal, The Forum, is managed and produced by department undergraduate and graduate students. Since 2010, the journal has garnered three national awards for excellence in electronic and print categories. 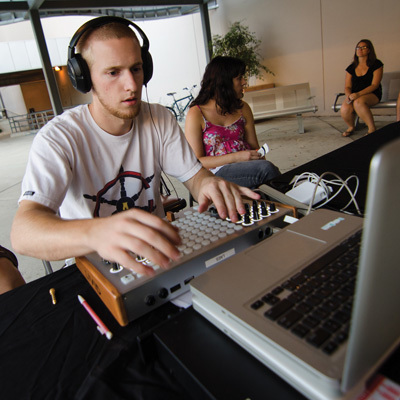 The Interdisciplinary Studies in Liberal Arts Program offers interdisciplinary and international classes in a wide variety of subject areas, from applied practice in media arts and technologies, to the study of ethical issues involved in technology, to courses that examine various cultures such as China, Japan, and South Africa. Minors: Ethics, Public Policy, Science and Technology (EPPST); Gender, Race, Culture, Science and Technology (GRCST); Media Arts, Society and Technology (MAST); Science and Risk Communication (SRC). In spring 2013, media arts and technology students took top prizes in the Kennedy Library and Orfalea College of Business Fifth Annual Pitch Perfect Video Competition. 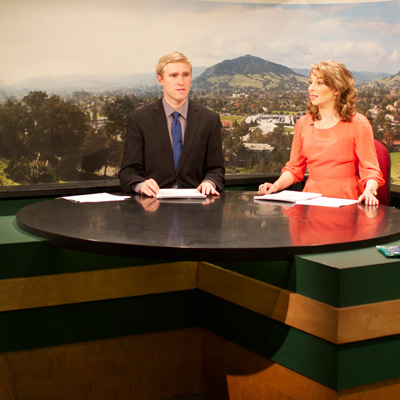 Cal Poly’s Journalism Department is one of California’s most innovative undergraduate journalism programs, among the first in the country to take an integrated approach to student media, mirroring developments in the industry. The department embodies a polytechnic university philosophy, offering a technology-rich, student-focused environment that fosters student curiosity and entrepreneurial spirit. 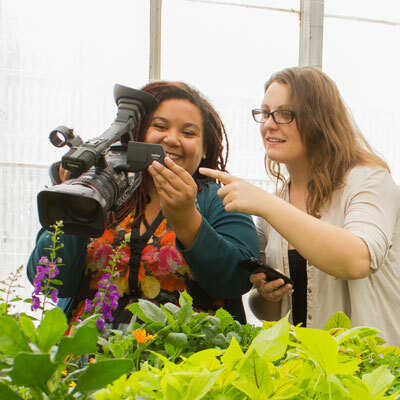 Students in journalism and across campus gain hands-on experience working for one of the first converged college media centers — the Mustang Media Group — which combines mobile and social media with online and print news, campus radio and television stations, and a public relations agency. Offered jointly by the colleges of Liberal Arts and Engineering, the Liberal Arts & Engineering Studies (LAES) Program embraces an interdisciplinary and entrepreneurial culture. Students focus their educational paths in alignment with their career goals, blending science, technology and the liberal arts to forge their own paths. Students and faculty collaborated to create PolyXpress, an app that allows users to interact with their environment while a curated, multimedia story unfolds on their smartphone. The app is developed for the Cal Poly campus, but will soon be used on campuses in Jakarta, Indonesia, and Brisbane, Australia. 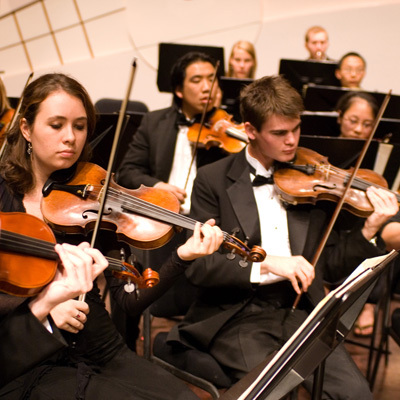 The Cal Poly Music Department teaches students to reach beyond technical and instrumental mastery to understand the unique power of music across cultures. The music program gives students a foundation in music theory, history and performance, and provides on and off campus performance opportunities throughout the year. The department’s multiple instrumental and choir ensembles perform in a variety of local, regional, national and international concerts. Ensembles have gone on international performance tours to many countries including Brazil, the British Isles, Central Europe and China; groups have performed in some of the finest concert halls in the U.S., including Carnegie Hall, the Kennedy Center and Walt Disney Concert Hall. 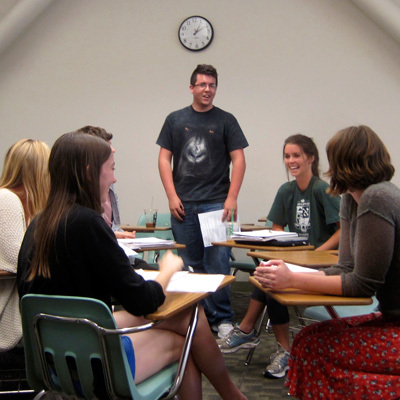 The Cal Poly Philosophy Department boasts one of the largest programs in the California State University system. Graduates typically score very well on the Law School Admissions Test (LSAT), Graduate Record Exam (GRE) and Graduate Management Admission Test (GMAT), as the philosophy program cultivates exceptional critical thinking and communication skills. The department’s Ethics + Emerging Sciences Group is a non-partisan organization focused on risk, ethical and social concerns related to new sciences and technologies. 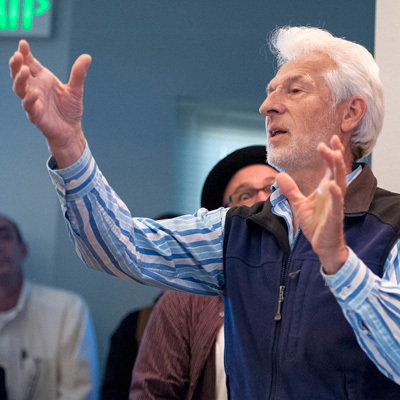 The group conducts research and education, connecting subject-matter experts from across the nation with Cal Poly. 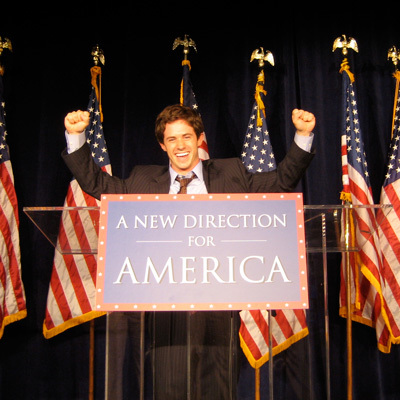 Cal Poly’s Political Science Department grounds students in policy and politics in the United States and across the world to develop informed, active citizens. Majors gain critical thinking, communication and analytical skills applicable to multiple career paths, as well as the knowledge to make a difference in the world. Political science students have the opportunity to intern at government agencies such as the U.S. Department of State and the U.S. Congress. The department also offers more than 80 internships that range from working in law offices and community organizations to political offices and campaigns. 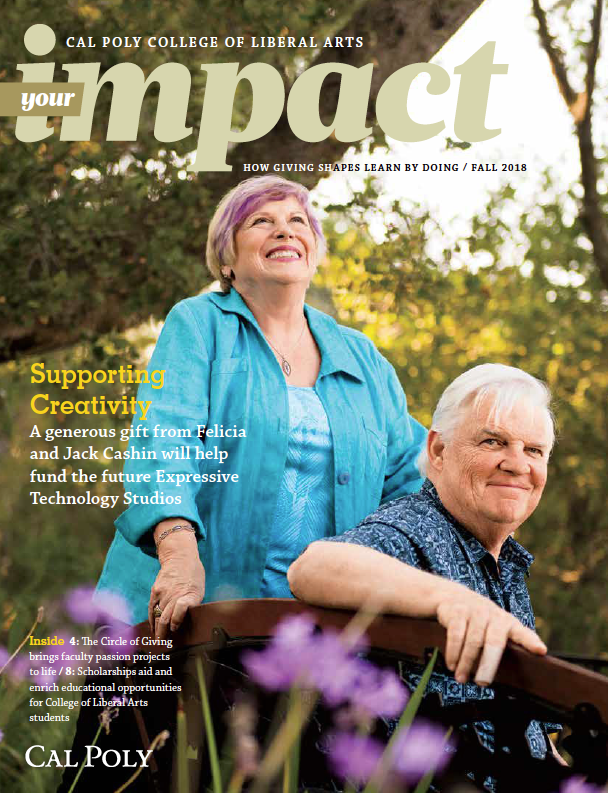 Cal Poly Psychology & Child Development students explore the complex issues of human development and relationships to improve the wellbeing of individuals, families and communities. 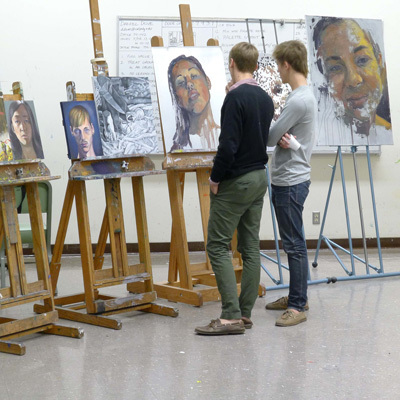 The department offers students concentration options that fit their interests, ranging from child and adolescent development to a broader approach to psychological theory and research. 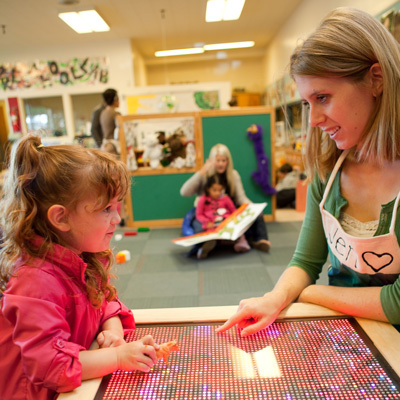 In a single year, students across both psychology or child development programs provide approximately 20,000 service hours during internships. The Science, Technology and Society Minors Program equips students with the skills to tackle complex global challenges like climate change, cyber-warfare, health inequalities, and the future of interactive and collaborative storytelling. Students will create a customized course path and portfolio of hands-on projects that are based on their passions and goals. Minors: Ethics, Public Policy, Science and Technology (EPPST)and Gender, Race, Culture, Science and Technology (GRCST); Media Arts, Society and Technology (MAST); Science and Risk Communication (SRC). 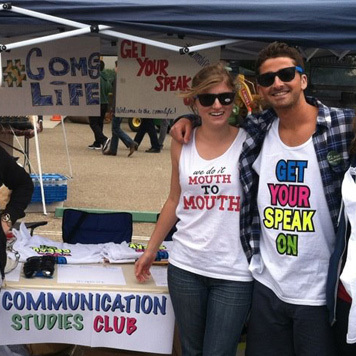 The Social Sciences Department exemplifies Cal Poly’s Learn by Doing educational approach, teaching students, from day one, how to bridge their education with the real world. Anthropology/geography and sociology majors receive training in applied technical skills including social data collection and research design and are encouraged to critically investigate contemporary issues. Each summer, students in anthropology/geography and sociology have the opportunity to travel to Peru with faculty: living with local families, immersing themselves in the Spanish language, touring Incan ruins, and engaging in service activities that directly benefit local communities. 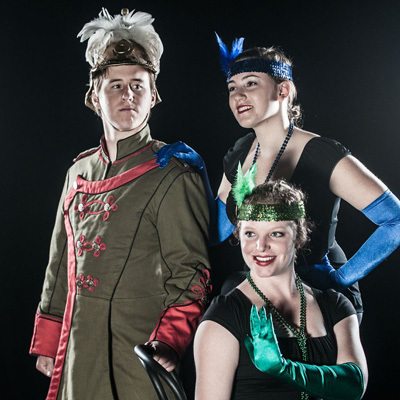 The Theatre & Dance Department provides students with programs of study that integrate practical production work with theater and dance principles, theory and historical development. Students in the department gain experience in all aspects of production and performance from writing, lighting and design, to choreography and on-stage presence. Students in theatre arts are involved in all aspects of technical theatre, and perform and participate in three annual main stage performances at Cal Poly. All productions are responded to by the Kennedy Center American College Theater Festival. The Western Intellectual Tradition Minor is synonymous with intellectual ability and breadth of knowledge. Tracing the development of philosophical and scientific thought of literary expression and historical understanding from the beginnings of Western civilization up to contemporary times, students come to grasp the crucial ideas that shaped the Western Tradition, and promotes debate about the value and role of those ideas in an increasingly diverse cultural world. Women’s & Gender Studies students explore the complex intersections of gender and sexuality with race, class and other social factors, and how they shape and are influenced by politics, ethics, the economy and law. 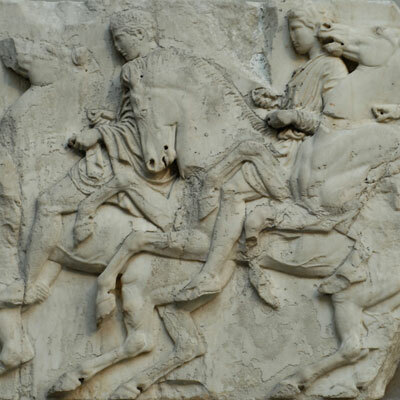 Women’s and gender studies is an inherently interdisciplinary field that promotes scholarly inquiry, education and activism focused on power and social inequalities. Faculty and students from across campus participate in projects that contribute to local, national and transnational conversations on the current and future shape of society. Students in women’s and gender studies, ethnic studies, and liberal arts and engineering studies are collaborating on a Wikipedia editing project. Students review, research and update Wikipedia entries to better present the contributions of women and other underrepresented groups in science and engineering. 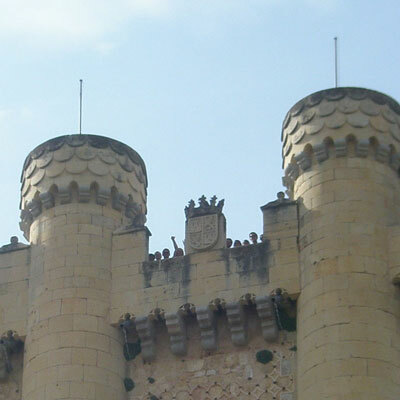 The World Languages and Cultures (WLC) Department provides students with the tools to understand different cultures and people on their own terms. Offering instruction in French, German, Spanish, Mandarin Chinese, Japanese and Italian, the department gives students skills and confidence to succeed in a global context. 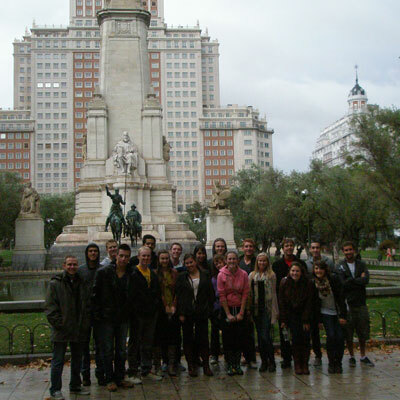 An incredible number of WLC students – 50-60% – enhance their language skills by studying abroad in France, Germany, Spain and beyond! Those interested in teaching can pursue a Single Subject Teaching Credential in World Languages, which allows graduates to teach one or more languages at the K-12 level in California public schools.